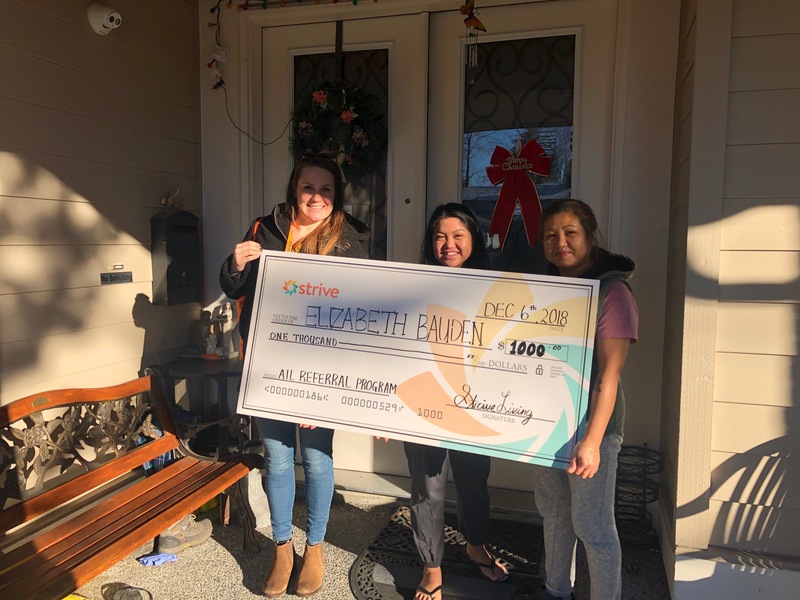 Congratulations Elizabeth Bauden, lucky winner of $1000 from our Assisted Independent Living (AIL) Referral Program in 2018! The AIL Department very much appreciates the contractors who have taken the time to refer their friends, family, colleagues, and neighbours to our program. Contractors receive a $25 bonus when they refer someone to the AIL program and they successfully apply. If the referee completes their application and a client is successfully placed in the home, the contractor receives a $300 bonus. 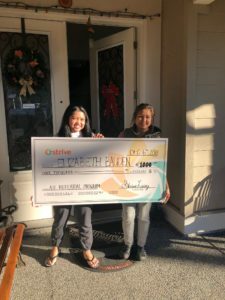 For every contractor who refers someone that completes their application and successfully has a client placed in their home, we enter their name into an draw for a chance to win $1000. The more people that contractors refer, the more chances they have to win! The WINNER of $1,000 is: Elizabeth Bauden. Thank you again to our contractors for their support and encouragement of others to apply to our program! Strive will continue the AIL Referral Program in 2019, so please continue to spread the word for your chance to win.